The Prime Minister’s Office says there was “absolutely no hostility” from Justin Trudeau towards Liberal MP Celina Caesar-Chavannes, despite allegations she’s made against him. Because of Jody Wilson-Raybould’s fresh resignation from cabinet, she told the Globe that Trudeau had asked her to wait for her own announcement and that he was worried about the optics of having two women of colour leave at the same time. “He was yelling. He was yelling that I didn’t appreciate him, that he’d given me so much,” Caesar-Chavannes told that newspaper. Earlier on Thursday while responding to allegations surrounding the SNC-Lavalin controversy, Trudeau said he hoped members of his caucus felt comfortable coming to him with issues. “I did come to you recently. Twice. Remember your reactions?” Caesar-Chavannes tweeted after his comment. “The prime minister has deep respect for Celina Caesar-Chavannes,” Pascuzzo said in the email to CBC News. 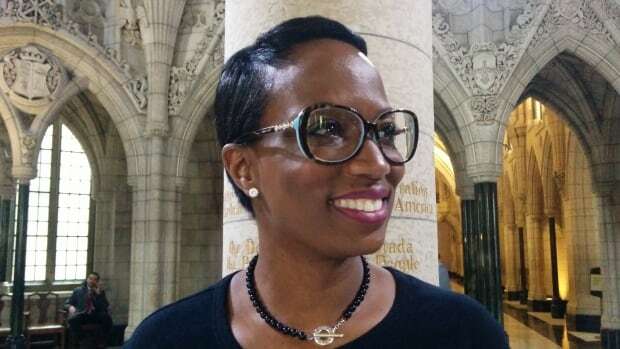 Caesar-Chavannes worked closely with the prime minister, including a stint as his parliamentary secretary until early 2017.